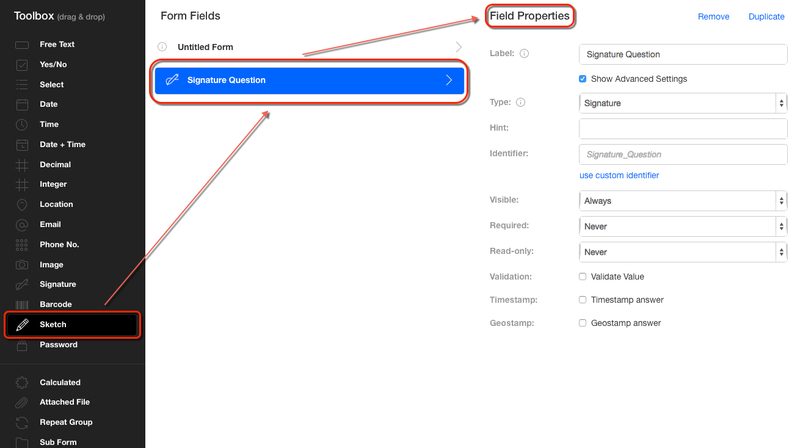 The Signature field allows a user to sign on the device by the use of their finger or a stylus. How the field is identified in the form (the name of the field). You can also provide custom identifiers for longer questions, to simplify template creation. Even though longer identifiers take up more space on the template, the data pertaining to that placeholder may not use all the given space and could possibly throw your template out of bounds.